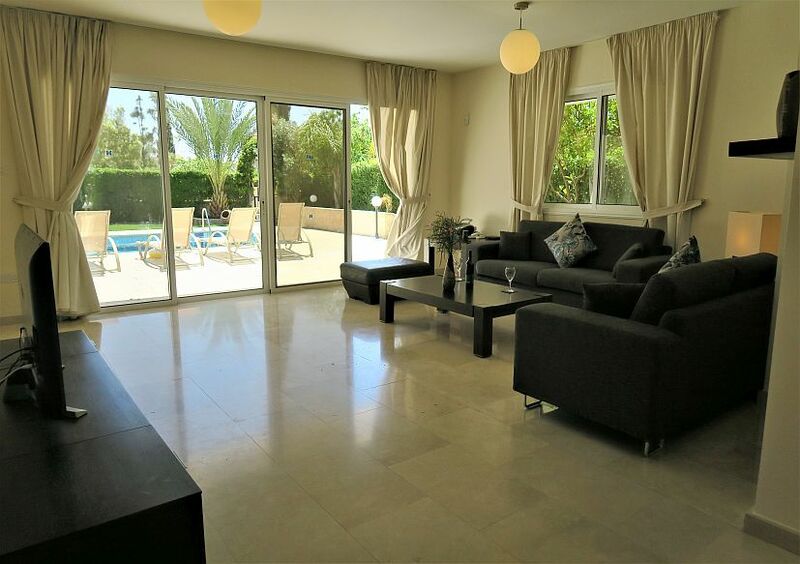 This "executive" luxurious and elegant 4 bedroom 3 bathroom villa is situated in a quiet tree lined “no through” lane next to Blue Flag awarded Coral Bay soft sandy beach, and is walking distance to the Coral Bay Strip. 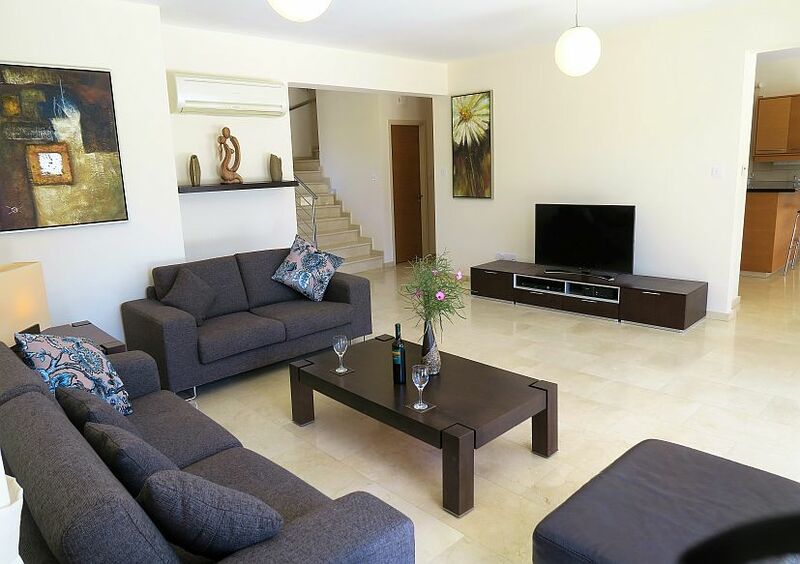 As you enter the villa, the cool marble floors entice you towards the spacious lounge with its superb cream leather suite and wide screen plasma TV. The shimmering pool beyond encourages you to come and cool off. The superb white oak kitchen with its top of the range appliances and breakfast bar is well equipped for home prepared food. The white oak has been used throughout the villa to complete the light contemporary feel. 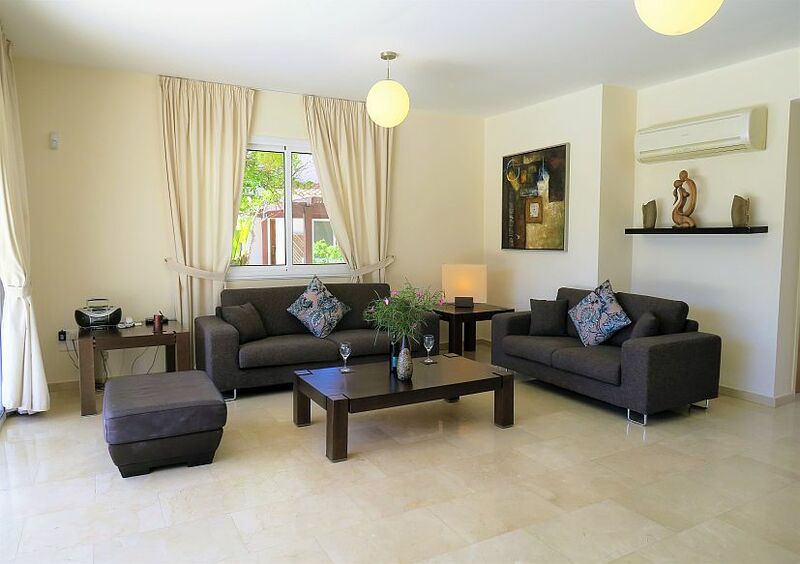 This villa is ideal for guests seeking spacious accommodation with superb facilities. Unlimited broadband Internet access is available at no extra cost, with a choice of wireless or cable connection. For your further comfort, mosquito nets are fitted in all rooms, including living room and kitchen. 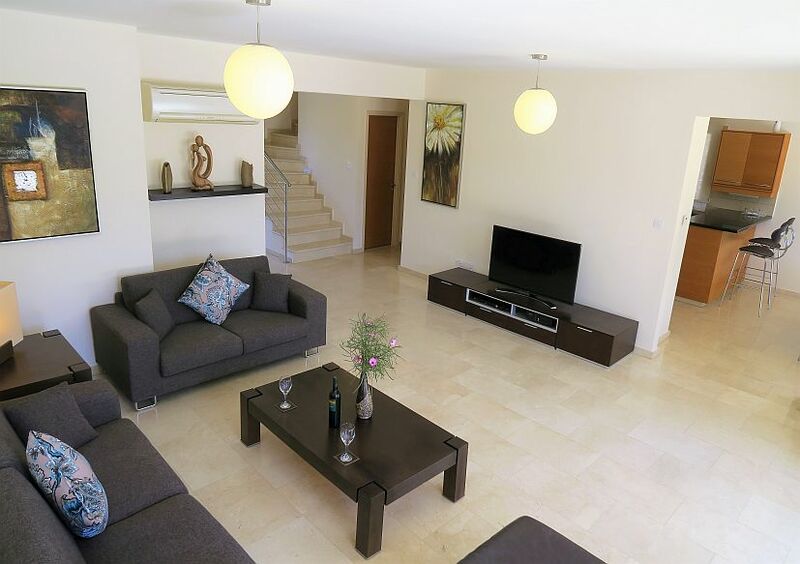 This means you can enjoy cool fresh air in the villa, having windows and doors open, without unwanted insects. 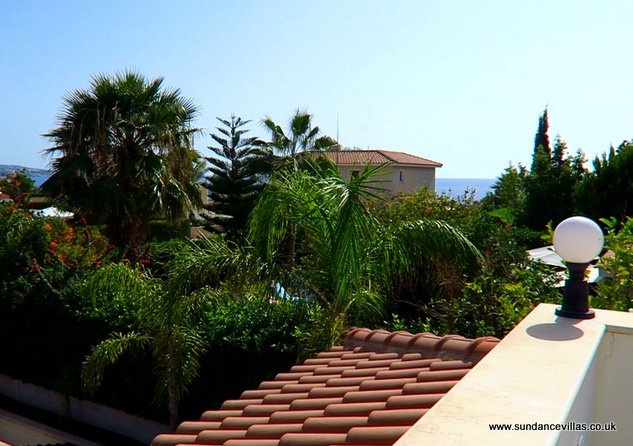 The sea views are best from upstairs as the hedges and shrubs have been clipped to thicken up and offer poolside privacy. Coral Bay at 300m is easily accessible due to wooden decking at the entrance to help you walk to the sun loungers etc. Being a bay the sea is usually very calm and warm, with soft sand underfoot, no stones. Corallia beach a little further is similar, just on a smaller scale. 5 minutes’ walk in the other direction brings you to the famous Coral Bay Strip itself, which has something for all ages, a wide variety of tavernas, bars and shops. For the village experience Peyia is about 10 minutes’ drive, and has many good taverns, bars and shops including Papantoniou bakery. 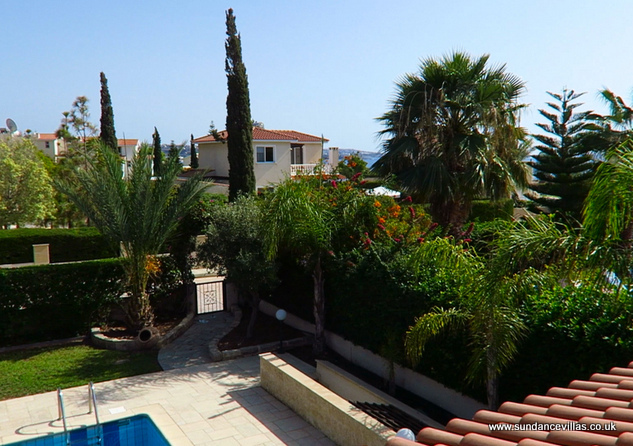 This villa is ideal for all ages and offers independence to different generations as everything is nearby. 2 out of 4 bedrooms are doubles making it ideal for 2 couples and children. The bus stop is 5 minutes’ walk and runs approx. every 10 minutes into Paphos town and harbour, via the many restaurants bars and shops on the Tombs of the Kings road. As we include air conditioning hot and cold in rates, we offer Villa Kingfisher for rent all year. In winter months the air conditioning is used as heating. We also have underfloor heating available at a supplement. We offer 2 adult lower rates by email when dates fit well with current bookings. Ignore the higher rate when booking.